Peaberry beans comprise only 3 – 5 % of all coffee beans harvested. They are known to provide some of the best tasting coffee and have a somewhat higher caffeine content. Note: we cannot control the temperature of the product after it leaves our facility. We are not responsible for any melted products. If melting does occur, re-cool the product and enjoy. 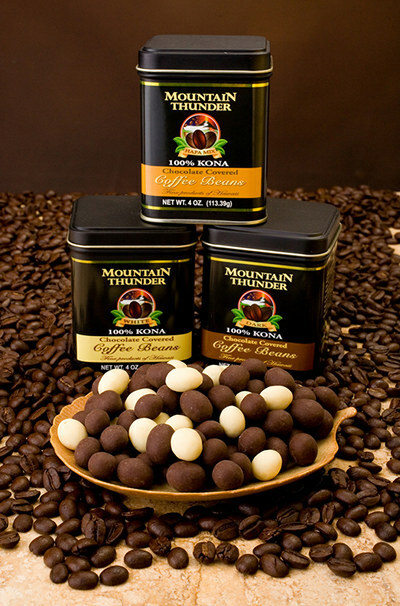 Click here to purchase single 4 oz tins of our Chocolate Covered Peaberry Beans. Choose a combination of 3 chocolates for this item.